Microorganisms are generally found in nature (air, soil, and water) as mixed populations. Even the diseased pans of plants and animals contain a great number of microorganisms, which differ markedly from the microorganisms of other environments. 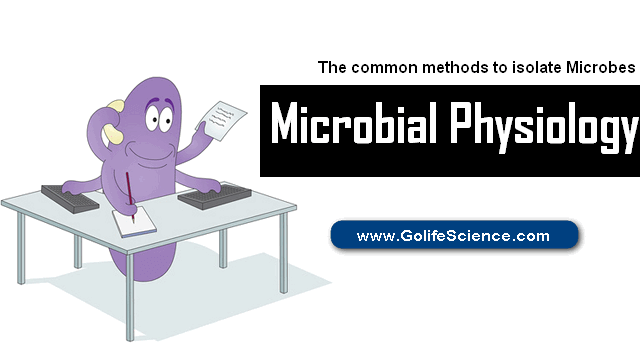 This is the basic guide on microbial physiology. To study the specific role played by a specific microorganism in its environment, one must isolate the same in pure culture. Pure culture involves not only isolation of individual microorganisms from a mixed population, but also (the maintenance of such individuals and their progenies in artificial media, where no other microorganisms find a way to grow. However, it is not easy to isolate (the individual microorganism; from natural habitats and grow them under imposed laboratory conditions. For this, the great deal of laboratory manipulation is required. If inoculums from any natural habitat are taken and allowed to grow in a culture medium, a large number of diverse colonies may develop that, due to crowdedness, may run together and, thereby, may lose individuality. Therefore, it is necessary to make the colonies well-isolated from each other so that each appears distinct, large and shows characteristic growth forms. Such colonies may be picked up easily and grown separately for detailed study. Several methods for obtaining pure cultures are in use. Some common methods are in everyday-use by a majority of n special purposes. Pure culture of microorganisms that form discrete colonies on solid medium., yeasts, most bacteria, many other microfungi, and unicellular microalgae, may be most commonly obtained by plating methods such as streak plate method, pour plate method and spread plate method, But, the microbes that have not yet been successfully cultivated on solid media and are cultivable only in liquid media are generally isolated by serial dilution method. All biology students and teachers can do it not only Microbiology Related People. This method is used most commonly to isolate pure cultures of bacteria. A small amount of mixed culture is placed on the tip of an inoculation loop/needle and is streaked across the surface of the agar medium. The successive streaks “thin out” the inoculums sufficiently and the microorganisms are separated from each other. It is usually advisable to streak cut the second plate by the same loop/needle without re-inoculation. These plates are incubated to allow the growth of colonies. The key principle of this method is that, by streaking, a dilution gradient is established across the face of the Petri plate as bacterial cells are deposited on the agar surface. Because of this dilution gradient, confluent growth does not take place on that part of the medium where few bacterial cells are deposited. Presumably, the colony is the progeny of a single microbial cell thus representing a clone of pure culture. Such isolated colonies are picked up separately us re-streaked onto fresh media to ensure purity. This method involves plating of diluted samples mixed with melted agar medium. The main principle is to dilute the inoculum in successive tubes containing liquefied agar medium so as low permit a thorough distribution of bacterial c Here, the mixed culture of bacteria is diluted directly in tubes contain maintained in the liquid state at a temperature of 42-45°C (agar solidifies below 420C). The Bacteria and melted medium are mixed well. The contents of each tube are poured into separate Petri-plates, allowed to solidify, and then incubated. When bacterial colonies develop, one finds that isolated colonies develop both within agar medium and on the medium (surface colonies). These isolate colonies are then picked up by inoculation loop and streaked onto another Petri plate to ensure purity. In this method, the mixed culture of microorganisms is not diluted in the melted agar medium (unlike the pour plate method); it is rather diluted in a series of tubes containing sterile liquid, usually, water or physiological saline. A drop of so diluted liquid from each tube is placed at the center of an agar plate and spread evenly over the surface by means of a sterilized bent-glass-rod. The medium is now incubated. When the colonies develop on the agar medium plates, it is found that there are some plates in which well-isolated colonies grow. This happens as a result of the separation of individual microorganisms by spreading over the drop of diluted liquid on the medium of the plate. The isolated colonies are picked up and transferred onto the fresh medium to ensure purity. In contrast, to the pour plate method, only surface colonies develop in this method and the microorganisms are not required to withstand the temperature of the melted agar medium. 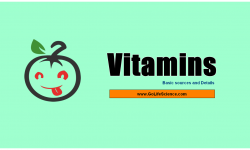 This method is commonly used to obtain pure cultures of those microorganisms that have not yet been successfully cultivated on solid media and grow only in liquid media. A microorganism that predominates in a mixed culture can be isolated in pure form by a series of dilutions. The inoculum is subjected to serial dilution in a sterile liquid medium, and a large number of tubes of the sterile liquid medium is inoculated with an aliquot of each successive dilution. The aim of this dilution is to inoculate a series of tubes with a microbial suspension so dilute that there are some tubes showing growth of only one individual microbe. For convenience, suppose we have a culture containing 10 ml of liquid medium, containing 1,000 microorganisms i.e., 100 microorganisms/ml of the medium. If we take out 1 ml of this medium and mix it with 9 ml of fresh sterile liquid m, we would then have 100 microorganisms in 10 ml or 10 microorganisms /ml. If we ml of this suspension to another 9 ml. of the fresh sterile liquid medium, each ml would maintain a single microorganism. If this tube shows any microbial! Growth, there is a very high probability that this growth has resulted from the introduction of a single microorganism medium and represents the pure culture of that microorganism.